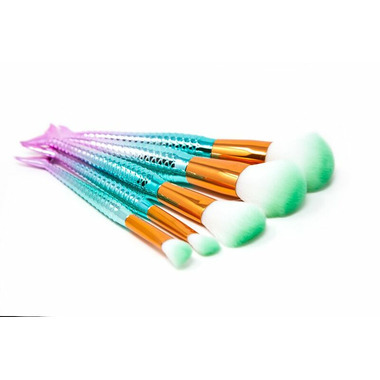 Premium quality makeup brush set with 5 most used brushes in the industry. 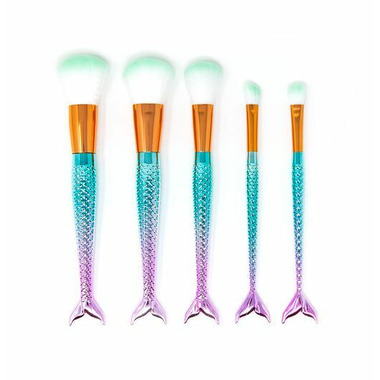 These brushes are made with comfortable handles with laser cut microfiber bristles, and has been designed and tested by our professional team of makeup artists and was ergonomically designed to fit perfectly in your hands and ensure flawless application. This makeup brush set is a trending phenomenon with its increased bristle count and much more efficient and full-coverage application. It gently massages and exfoliates skin at the same time, making this a must-have accessory set for your collection.